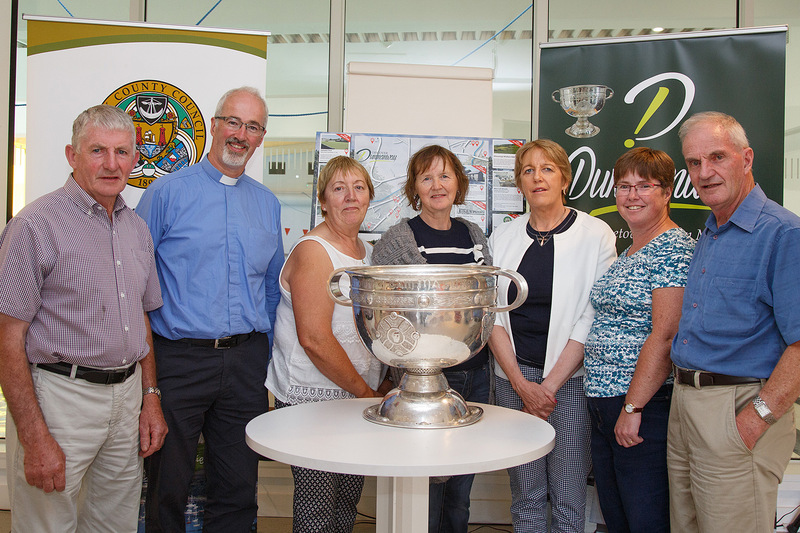 Hot on the heels of the opening of the innovative Sam Maguire Community Bells which were installed in St. Mary’s Church in Dunmanway in 2017 to remember Dunmanway’s most famous son (Sam Maguire), on Wednesday, 20th June, the official launch of a new Dunmanway Tourism Brochure, Website, and Tourist Information Point took place in the recreational area of Dunmanway Swimming Pool. 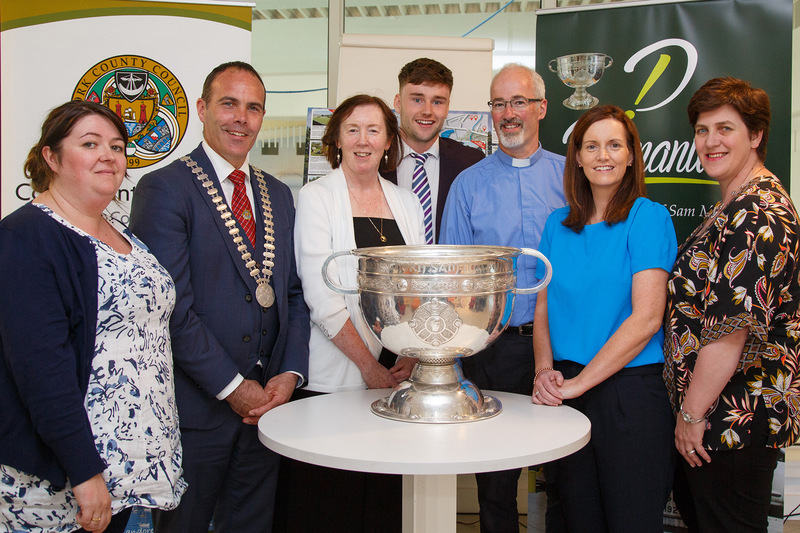 The launch included the Discover Dunmanway tourism brochure, the opening of a Fáilte Ireland Tourist Information point in EuroSpar, Dunmanway, the new http://www.visitdunmanway.ie website, and the unveiling of the Sam Maguire Story Board Exhibition at Dunmanway Swimming Pool. This project was initiated by the Rev. 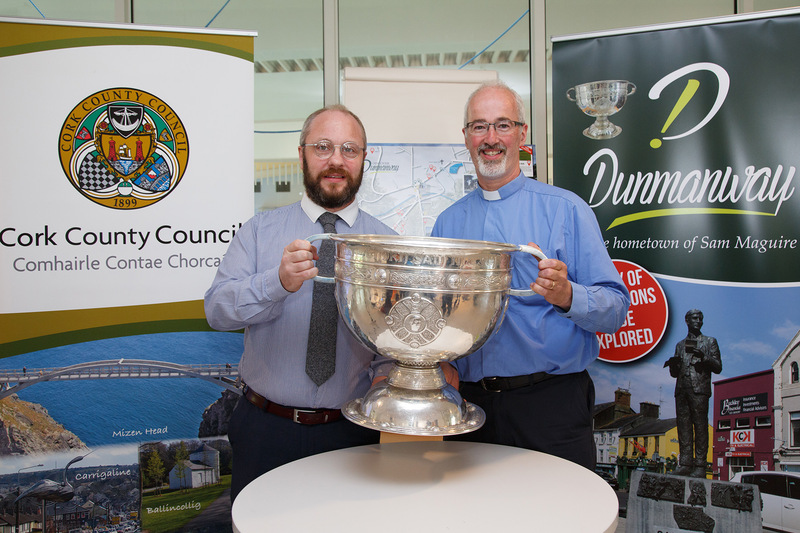 Cliff Jeffers of St.Mary’s Church of Ireland, Dunmanway (where Sam Maguire is buried) in partnership with the Dunmanway Chamber of Commerce. In September 2017 they approached Cork Institute of Technology’s school of marketing to be involved in their extended campus program for placing of interns in industry and community projects. Ten of the fifteen attractions highlighted in the Dunmanway area are free to visit. The attractions which were selected including a Windfarm walk, Funmanway, West Cork Biscuit Factory, St. Mary’s Church and the Sam Maguire Community bells, guided and self-guided historic walking tour, Sam Maguire’s Homestead, Dunmanway Swimming Pool, (and 8 more). John Power (CIT Marketing Intern), Michelle Collins (CIT Placement officer), Cllr. 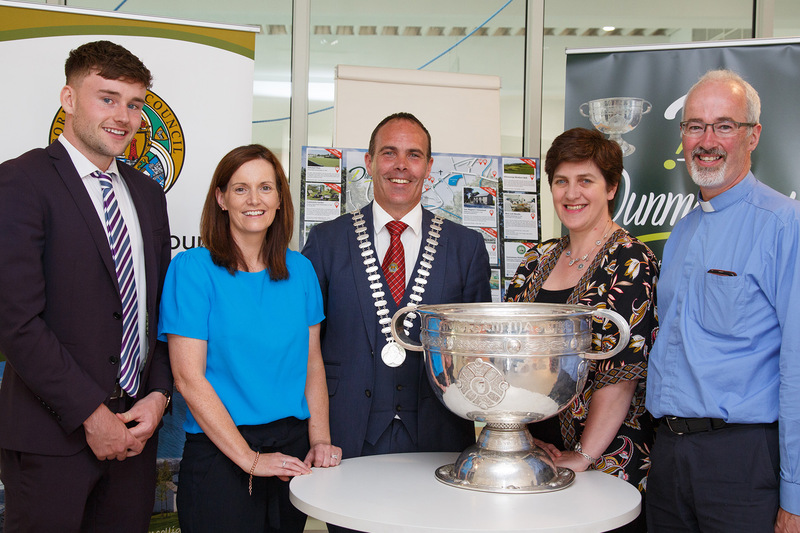 Declan Hurley (Mayor of the County of Cork), Marie Healy (Failte Ireland) and the Rev. Cliff Jeffers (Church of Ireland, Dunmanway). John Power, a third year marketing student from Clonmel in Co. Tipperary was selected, and his internship started on the 1st February 2018. 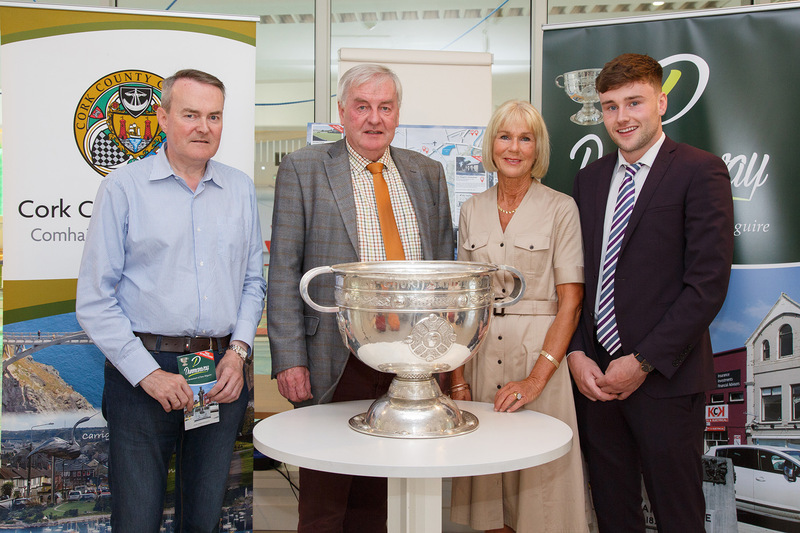 This launch is the outcome of the objectives that he has been developing for the promotion of tourism in Dunmanway with the focus on good value for money and telling the story of Sam Maguire. Funding for this initiative has been provided by Cork County Council through the Towns and Village Renewal Scheme from the Department of Arts, Heritage, Regional, Rural and Gaeltacht Affairs. 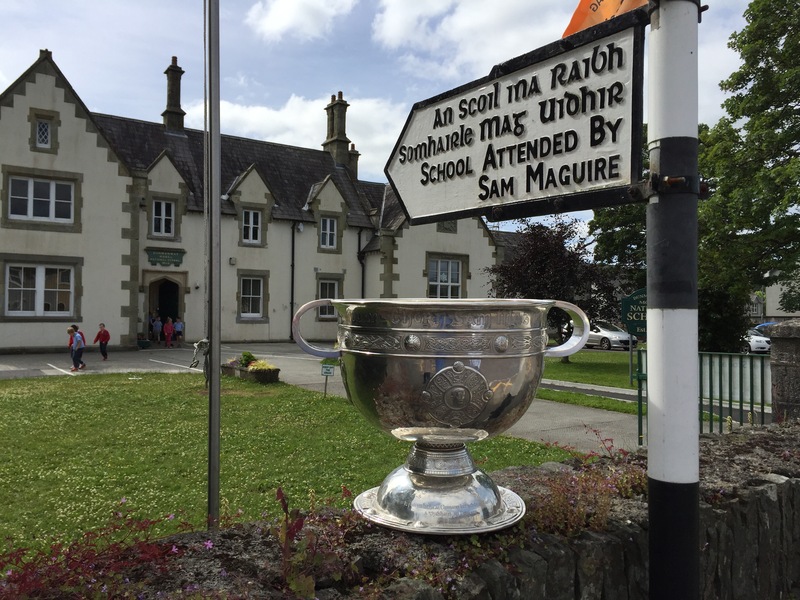 Dunmanway is determined continue to build on their unique position as the birth and burial place of Sam Maguire, and members of the local community will continue to work together to develop an excellent value experience for visitors to Sam Maguire’s hometown in the years ahead. This entry was posted in Announcements, Centenaries in Ireland, Church in Society, Community Involvement, Diocese, Ecumenism, Five Marks of Mission, GAA, Launch, People from Cork, People from the Diocese, Voluntary Work. Bookmark the permalink.